At Payment Protection Scotland we have history of successful claims against Bank of Scotland. Currently 92% of ppi claims we make against Bank of Scotland are successful. If you’ve ever had a loan, credit card or mortgage from the Bank of Scotland in the last 10 years you could have been mis-sold ppi. Bank of Scotland made massive profits by mis-selling PPI. Call Payment Protection Scotland today and within minutes one of our experienced claims managers will assess your claim. We take on all Bank of Scotland claims on a No-Win No-Fee basis. So if your claim isn’t successful it won’t cost you a penny – What Have You Got To Lose? 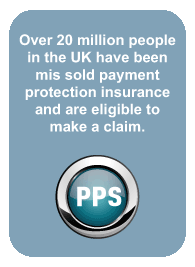 Contact Payment Protection Scotland today to reclaim your PPI from Bank of Scotland.